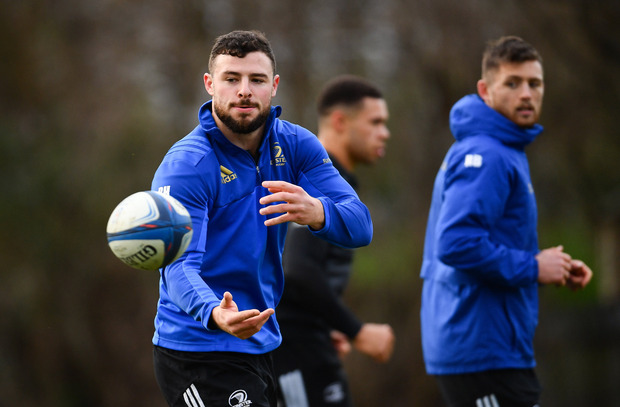 Dan Leavy is set to make his long-awaited comeback from a calf injury as he has returned to Leinster training and is available for Friday's Guinness PRO14 game in Edinburgh. The flanker missed the entire Six Nations campaign and is yet to play this year after suffering a calf problem in the aftermath of his last appearance against Connacht on December 22. Leinster are also boosted by the return to full fitness of Luke McGrath (knee), Joe Tomane (hamstring) and Nick McCarthy (foot). In less positive news however, Robbie Henshaw may miss the Champions Cup quarter-final against Ulster as his dead leg is still causing him some issues. "Very frustrating for Robbie, I feel sorry for him," Stuart Lancaster said. Josh van der Flier is set for a scan on his groin problem and is facing a spell out. Devin Toner will also miss the European decider but he is said to be ahead of schedule. "His timeline for return to play has actually come forward a bit, he's made great progress which is positive for us," Lancaster added.